EASTSIDE NEWS: NEW PROJECTS FOR 2019! Funded by Trust For London, this 18 month long project will support residents in Barking Thames Ward to use their stories to influence the future of a fast developing area. 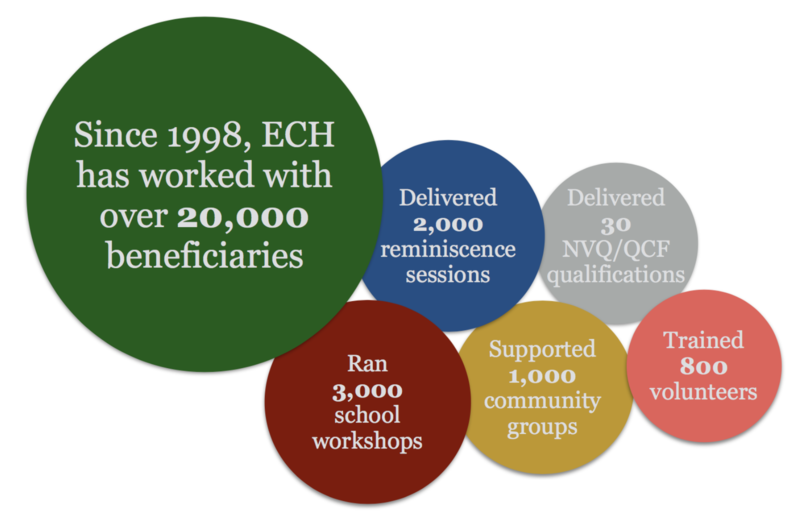 ECH will develop new methodologies that promote community organising to make an impact. Funded by the Family Fund, we'll work with 6 primary schools and parents, to share cultural heritage and nursery rhymes from around the world. In line with the Mayor of London's Integration Strategy to build stronger relationships with parents and schools. This project funded by the East End Community Foundation, uncovers the story of how changing communities in Stratford have seen changing diets. Using gardening and cooking, we will gather the memories and recipes of local residents past and present. Although Black History Month is still a while away, we're launching a new project that focuses on the experiences of women of colour. Starting this Women's History Month, we are collecting the stories and memories of Black and Asian women in Newham, Redbridge, and Tower Hamlets, for an exhibition that will go on display in October. We are looking to interview women of colour that have worked hard to make a difference in their local area. Female stories have traditionally been omitted from history, especially those of BAME women. It is our aim to preserve stories that would otherwise be forgotten - everyone's story is important!